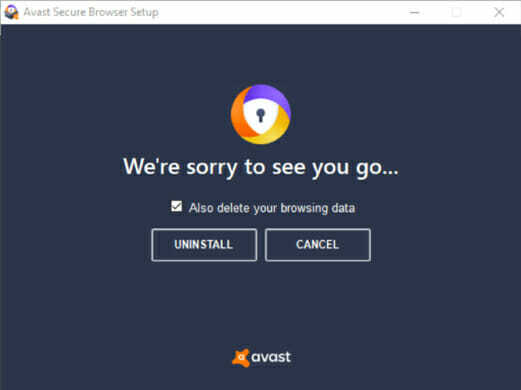 Avast unveiled Avast Secure Browser in April 2018. The new browser is the official successor of the popular Avast SafeZone Browser. The new Chromium-based web browser focuses on security, privacy, and speed. Avast Secure Browser is 100% free. However, it’s only available for Windows users. That’s Windows 7, Windows 8, Windows 8 & 8.1, and Windows 10. How does Avast Secure Browser compare to Google Chrome, Mozilla, and Internet Explorer? How can I get the secure web browser? Where did Avast SafeZone Browser go? How do I use the new secure browser? 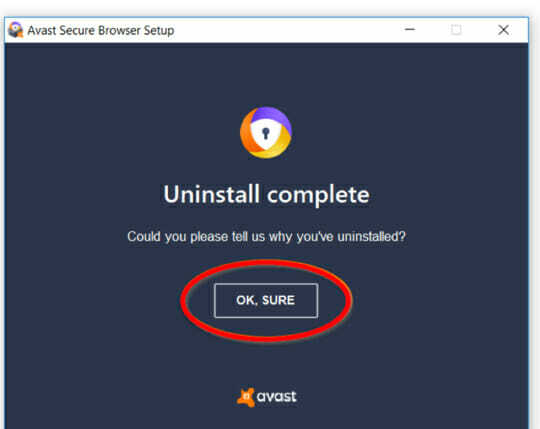 You are probably wondering why you should use Avast Secure Browser. After all, there are many web browsers out there. Well, the argument would undoubtedly be about speed, as everyone wants to use a fast browser. According to Avast, its new browser can load web pages four times faster than regular browsers. However, it is only fast when browsing through content-heavy websites with advertisements and Flash features. Today, nearly all websites have ads. So, you can be sure you will enjoy fast browsing with this new browser. Avast Secure Browser has many great features to offer when compared to Chrome and Firefox. One of the most exciting things is that all the features are on a single page. The web browser integrates seamlessly with Avast Antivirus and Avast SecureLine VPN. 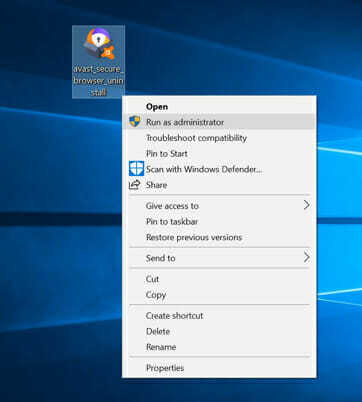 This way, you easily scan your PC for any external threats. You can also connect to a VPN server. This is a unique feature that was also present in the previous version. The browser opens a designated session for banking and shopping online. These special sessions prevent hackers from intercepting and stealing your login details. The video downloader feature allows you to download audio and videos free of charge from top video sites. This includes YouTube, Vimeo, and other sites. You can also choose the size, quality, and format of the video you want to download. Enabled by default, this feature prevents ads from appearing on any web page you visit. This is important in ensuring that your browsing sessions are safe. The Flash protect feature prevents Flash-based content from running on your computer. Such content makes your computer vulnerable to external threats. It also uses space on your computer and drains your laptop’s battery. The password manager feature allows you to choose the password manager you would like to use. It allows you to store all your passwords in one place. So, you only have to remember one password. With this feature, you don’t have to worry about malicious websites or any phishing attacks. It will automatically block any attempts to download potentially malicious files or content from the web. Also known as privacy or incognito mode, this feature deletes your browsing history and tracking cookies. A HTTPS connection is more secure than an HTTP connection. The former adds encryption, which prevents spying. It also ensures a secure connection to the target server. With this feature, you only get to visit websites that use an HTTPS connection. The anti-tracking feature gives you protection against online tracking. That includes tracking by advertising networks, analytics companies, and other web-based services. It also has filters that remove tracking scripts, bugs, and other programs meant to collect information from websites you visit. The extension guard feature prevents the installation of suspicious plugins and add-ons in the web browser. It only allows the installation of safe and trusted extensions. Advertising networks and website can track you using a unique browser configuration known as browser fingerprint. Your browser fingerprint comprises of data about the configuration of your computer, browser, and online browsing history. Your web browser stores your data every time you access web pages. The anti-fingerprinting feature protects your fingerprint. It also prevents websites from tracking your online behavior. You can download the browser from Avast’s website. You don’t have to download Avast Antivirus to get the web browser. There are two methods to download the secure browser. 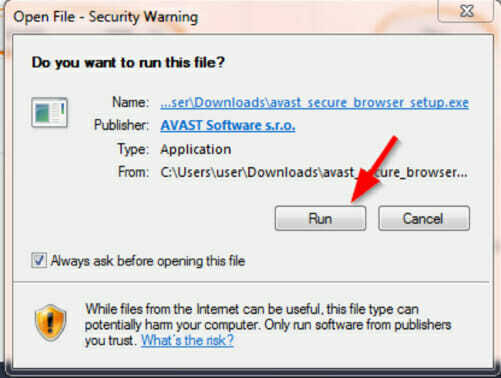 You can download and install the latest version of Avast Antivirus or download the browser as a standalone. Here are the steps you need to follow. Step 6: The installation process will begin. Once the installation is complete, you can open the browser from your desktop. Read on for more on how to uninstall the browser. There are two methods you can use to uninstall the web browser. Step 3: Click Uninstall, then select Also delete your browsing data and click the uninstall button. Follow the instructions on your screen to complete the process. NOTE: If you are planning to reinstall the web browser, don’t select the option that asks you to delete browsing data. If this method doesn’t work for you, try the next method below. 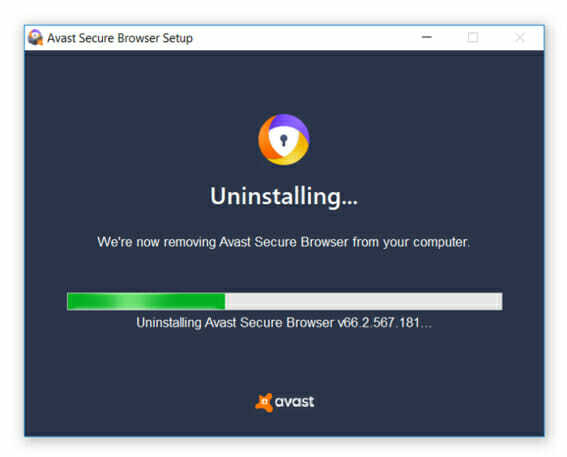 If you were unable to remove the web browser from the control panel, you can try out Avast’s removal tool. You have to download the tool and install it on your computer before you can start the removal process. Once the uninstallation process is complete, you can allow the browser to open a page where you will take a survey. They will ask you why you have uninstalled it. Or, you can exit the dialog window to avoid this. 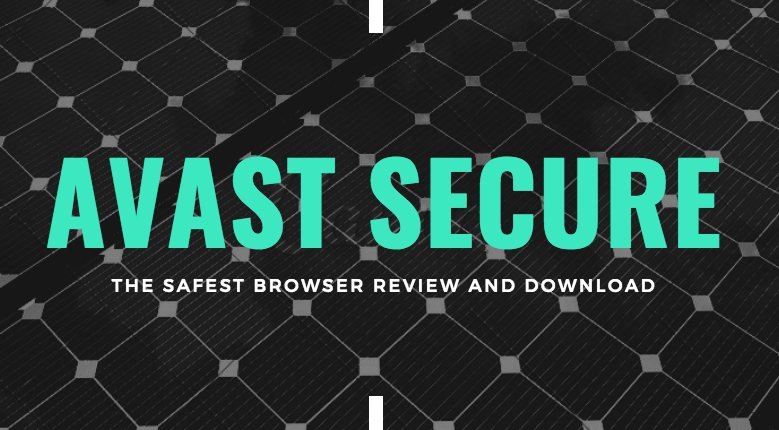 A comparison test between Avast Secure Browser and Google Chrome found that there are significant speed differences. Mozilla posted the slowest speed results. Unfortunately, the test did not include Internet Explorer. However, the conditions of the test are different from the real browsing experience on web pages. In a real case scenario, the speed of any particular web browser depends on the connection speed and size of the web page. But still, Avast remains the fastest browser. How fast a web page loads is also influenced by ads, especially those with videos or images. With Flash block and adblock features enabled by default in the secure browser, it loads faster than other browsers. Here are some of the most frequently asked questions about the secure browser from Avast. Avast Secure Browser is a successor of the Avast SafeZone Browser. The new web browser includes a security & privacy center. The feature contains a collection of tools that help you to ensure safety and manage your online behavior. There are two ways to get the browser. You can either download Avast Antivirus or download the browser as a standalone. 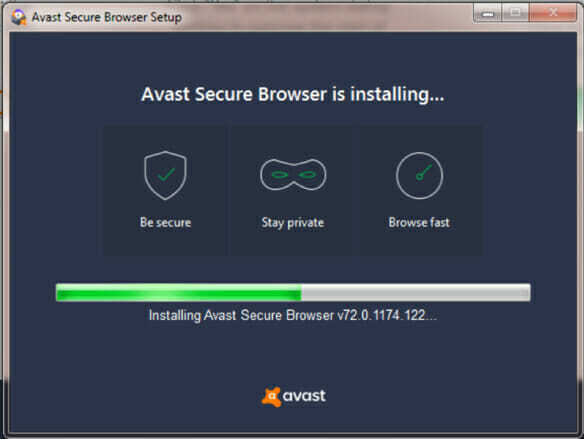 Avast Secure Browser came in to replace Avast SafeZone Browser. But the new browser has the functionality of its predecessor. It also contains many features that the old version had. But now the new browser comes with the security & privacy center. This new feature enhances security and safety. You can open the browser by double-clicking on the short cut icon on your desktop. You can also click the icon taskbar or Start menu icon. 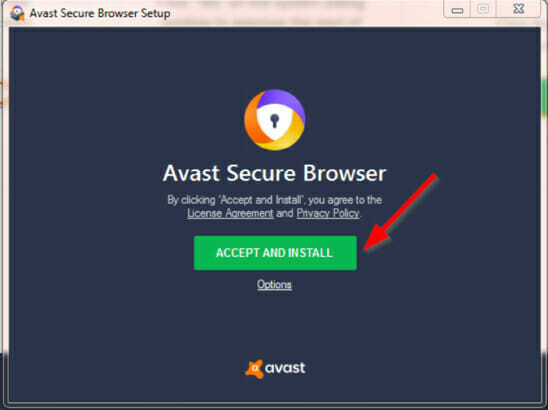 Generally, there is not much difference between Avast Secure Browser and Chrome. But the former has a few extra features designed to improve browsing speed, privacy, and security. If you’re looking to change your web browser, then you should definitely try the new, improved web browser from Avast. It’s free! So, you have nothing to lose.